Create value for our customers and stockholders with the use of data and analytics. Analytics technical ability coupled with the capacity to communicate new ideas and build consensus around them. 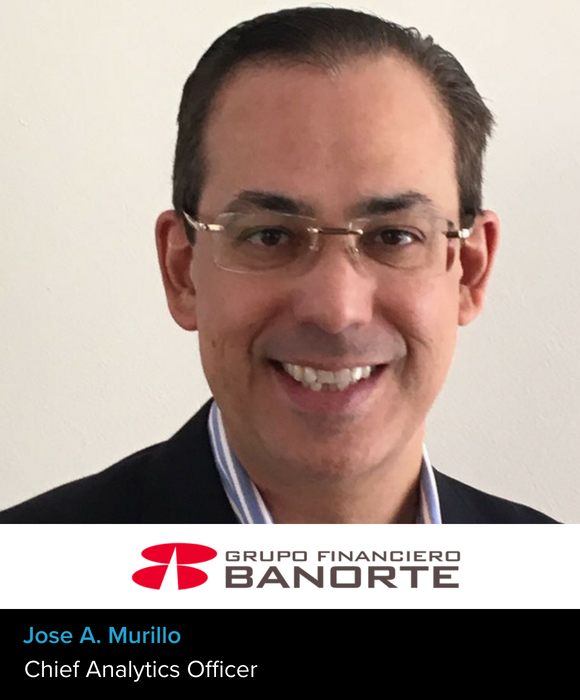 There are several people to who have influenced me: As an economist my PhD Advisor Marc Dudey, as central banker Deputy Governor Everardo Elizondo, and as a private banker the COO/CFO Rafael Arana. My most recent analytics projects merge the use of artificial intelligence and behavioral economic tools to accelerate the experimentation learning curve with the effect of delivering a massive ROI. Value creation with analytics requires vision clarity at the top. Speed up the discovery process with AI. Loads of tests and execute swiftly. Grit. Patience and perseverance to learn even more. The promise of an exponential growth period which delivers massive benefits to humanity in many industries.